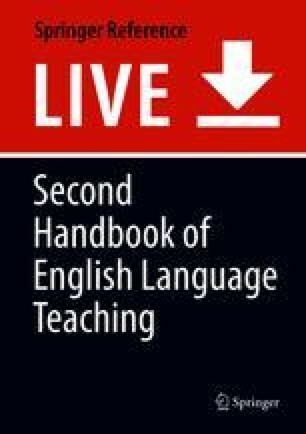 This chapter presents a critical examination of current issues and controversies in English language teaching in South Korea (henceforth Korea), focusing on the crucial role of English in social reproduction as represented in the term “English Divide,” referring to a widening social polarization based on English competence. The chapter situates the discussion in the context of the global political economy and explores how neoliberal celebration of English has led to exacerbating inequalities among social classes in relation to rapid neoliberal globalization of the Korean society. Emphasis is placed on the emergence of communicative English as new symbolic capital regarding neoliberal construction of language learning as an entrepreneurial self-development project to boost the individual’s competitiveness in the job market. Highlighting differential access to “good” English by “Early Study Abroad” students and “English Abandoners (or English Underachievers),” the analysis examines how a series of ELT policy initiatives designed to enhance communicative English language teaching and intended to address the “English Divide,” contributed to further exacerbating widening English achievement gap along social class lines. The chapter concludes with suggestions for critical ELT policy and practices needed for more inclusive education for Korea and other parts of the globe.